There isn’t much that I don’t like about fall. Really, there isn’t anything I don’t like about fall. Now that we are in a warmer climate I am craving fall more than I ever have. What I’m learning is that around here is that people enjoy the same activities as we did up in New England. There are harvest festivals, hay rides, and pumpkin patches. It’s just warmer. When the kitchen smells like fall. One of the true indicators of fall are the smells in my kitchen. That’s why I have put together this Fall Appetizer Roundup. 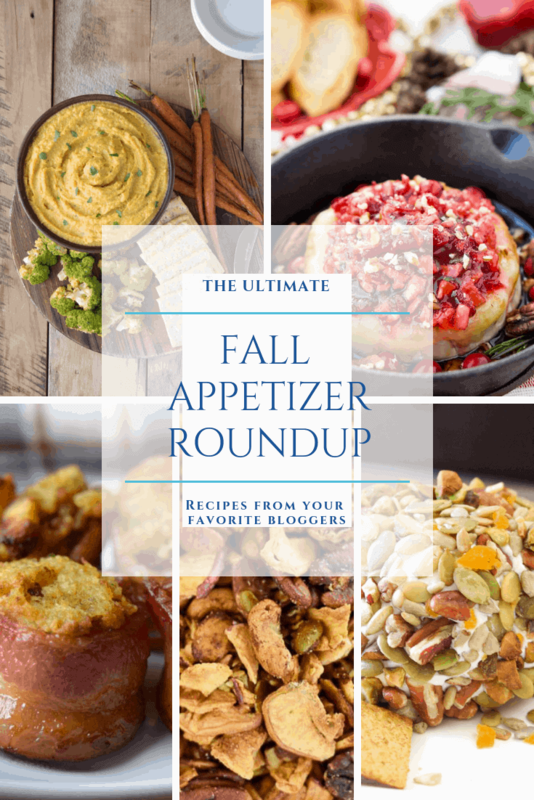 I have partnered with other bloggers to bring you some of the best fall appetizers together in one place. Enjoy! There are so many good recipes out there! I just had to share some of the ones I found! These look AMAZING. And they seem so simple to make. Besides, who doesn’t love nachos? I. Can’t. Even. This looks so amazing! I already have plans to add it to my Thanksgiving appetizers! Tiffany – you’ve outdone yourself! Holly had me at chipotle. Wait until you take a look at this. 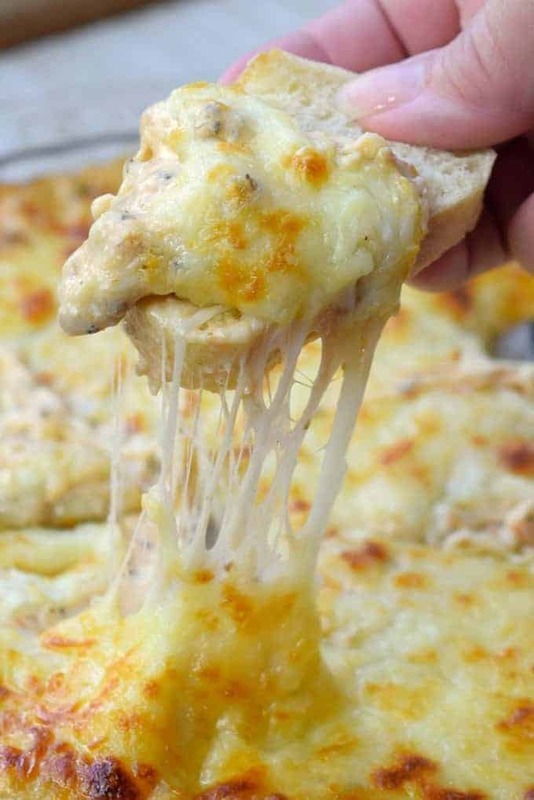 My mouth is watering. 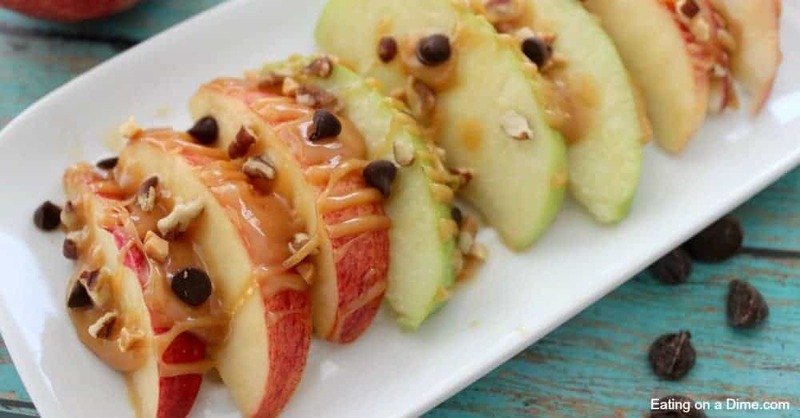 Tell me you don’t want to rush home and make these. Right now. I bet you can’t. You know how I love my slow cooker. But dip and mushrooms in one name? This HAS to be amazing. Thank you, Tammi for sharing – I’m sure it’ll be on many tables this fall! It’s made with pumpkin. It’s gluten free. It’s vegan. 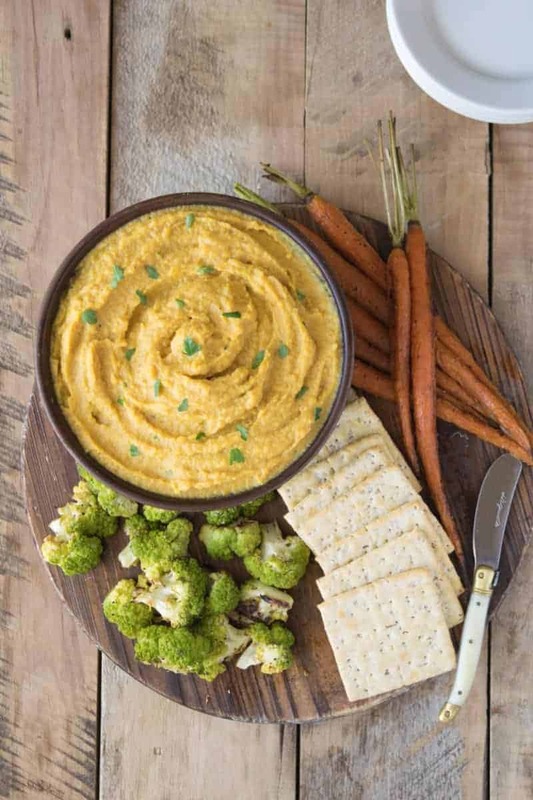 A healthy appetizer you can add to your table that even people needing gluten free can enjoy? #winwin. 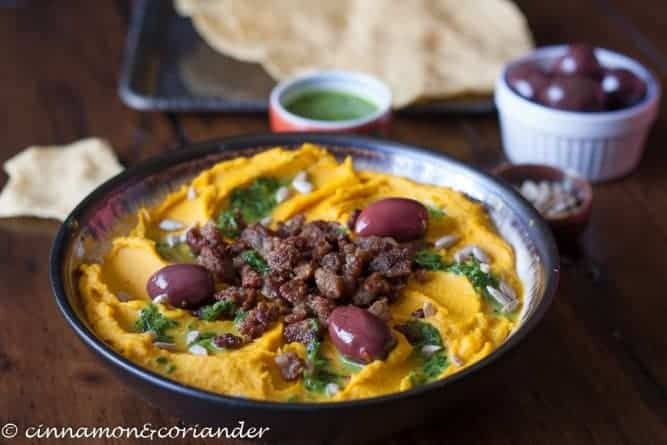 Lori always has wonderful recipes on her site. But this? COME ON. 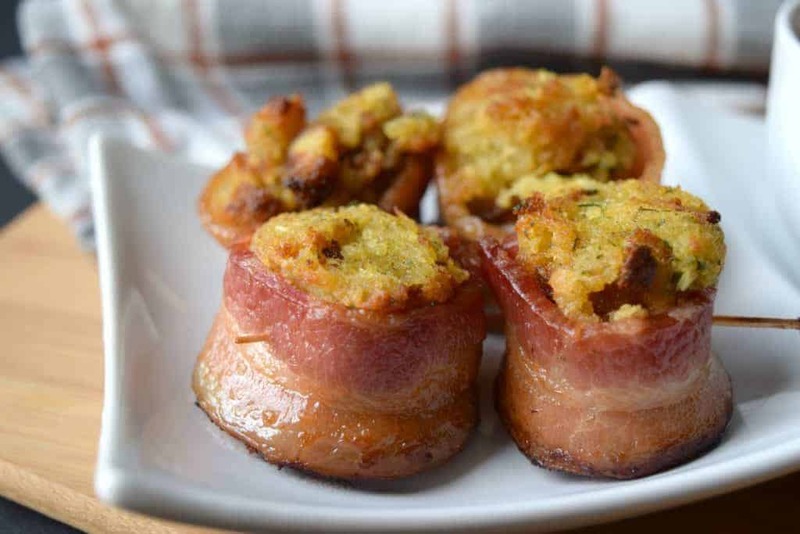 Bacon AND stuffing? Seriously? I’m in. 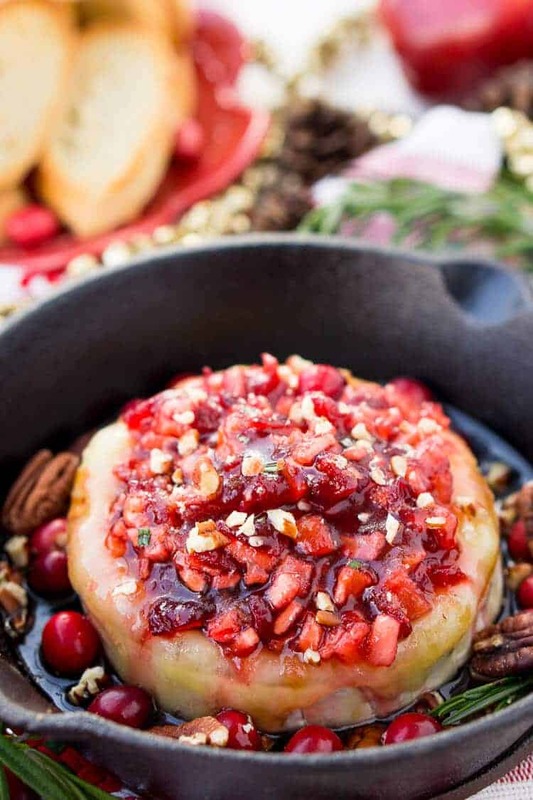 I think this recipe will absolutely get everyone’s mouth watering for sure! And, it’s a make-ahead dish – so no dirty dishes to deal with. I can think of so many different times I could use this. 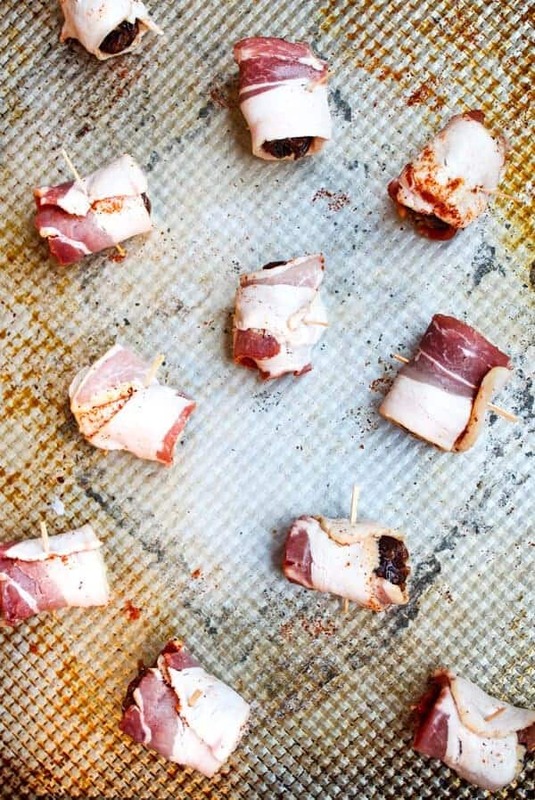 Shannon bringing chili and bacon together was just the start of wonderful with this appetizer. 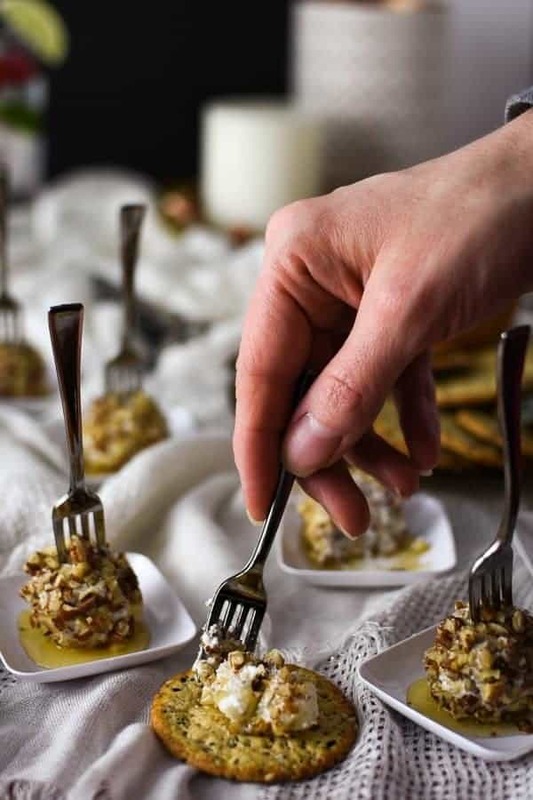 Dates and manchego too? Wow. Just Wow. I really do love Brussels sprouts. I think they are a highly underrated vegetable. 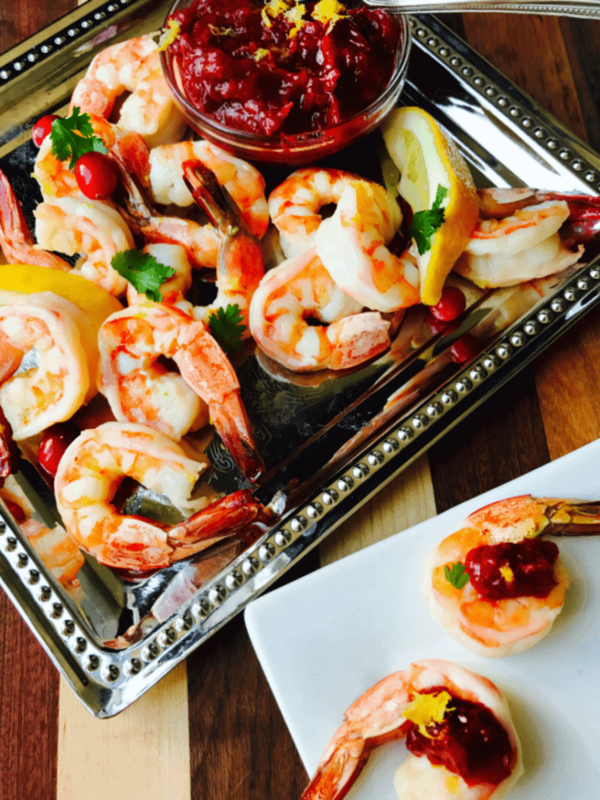 Julia brings them to a new level with this recipe! Acorn squash is one of my absolute favorites. 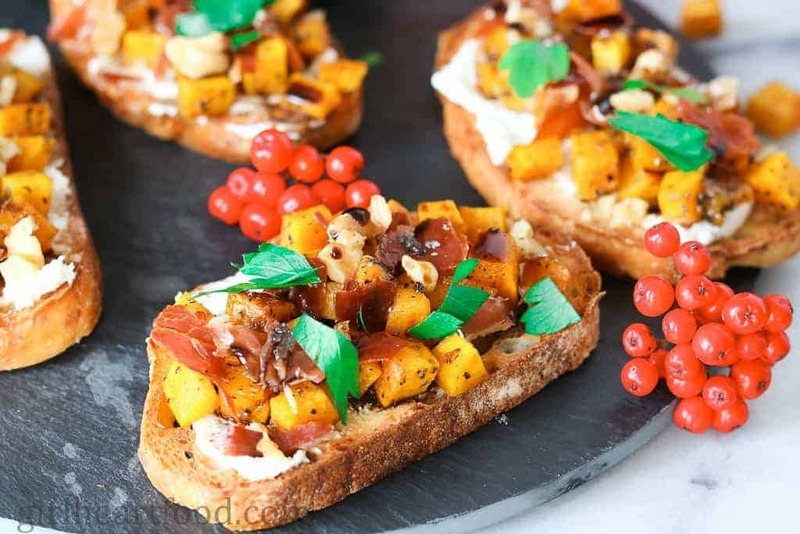 Combining the acorn squash with crispy prosciutto and goat cheese – genius on Dawn’s part. 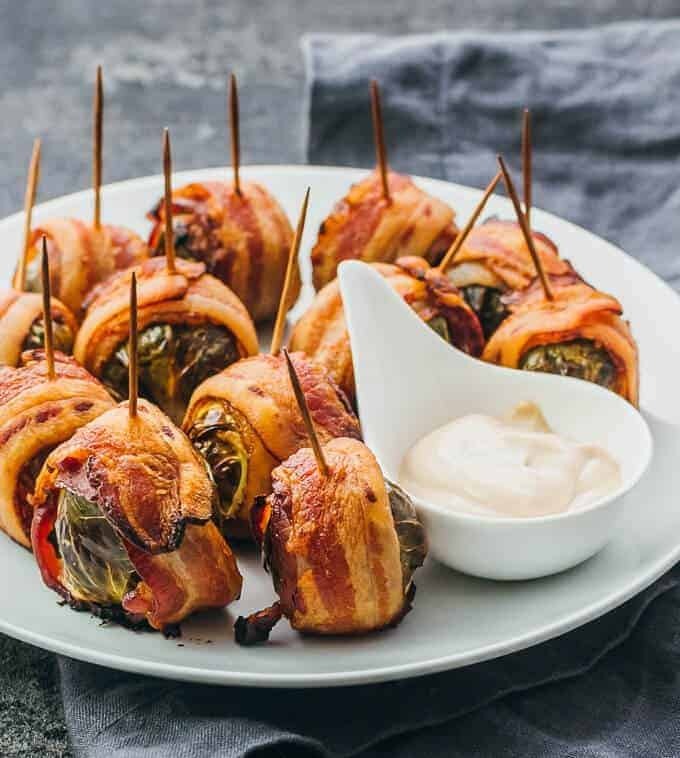 There are so many of us following Keto these days that it’s nice to have an option for our guests! 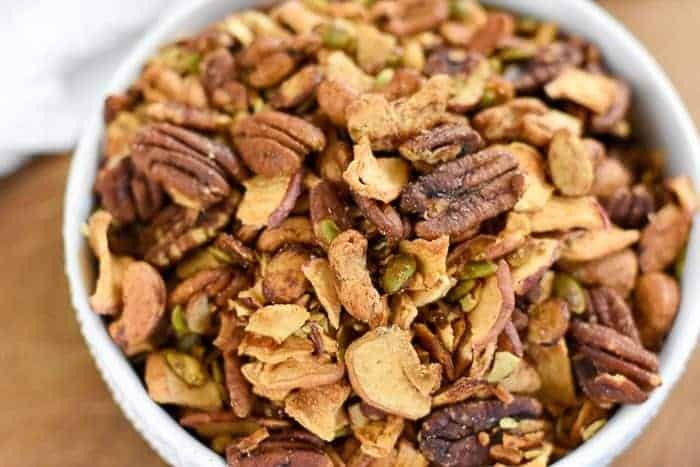 This recipe has me thinking of fall and football at the same time! 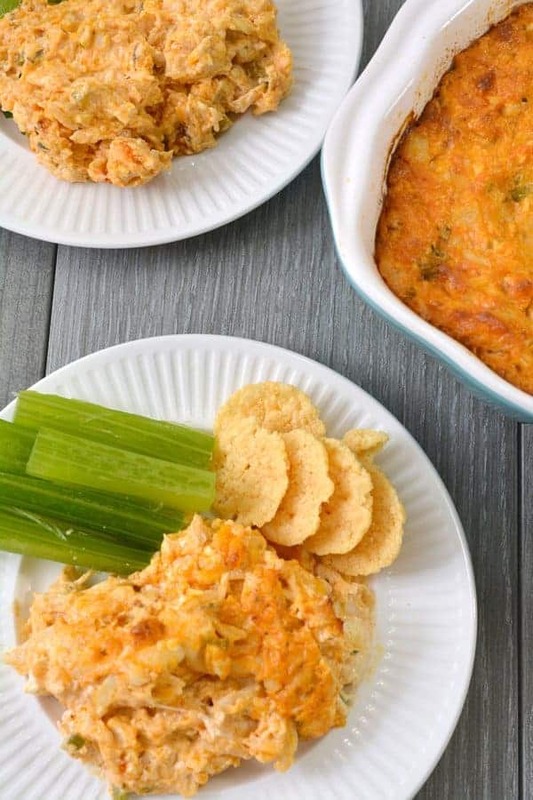 Amy really gets our tastes buds ready for fall with this blue cheese treat! 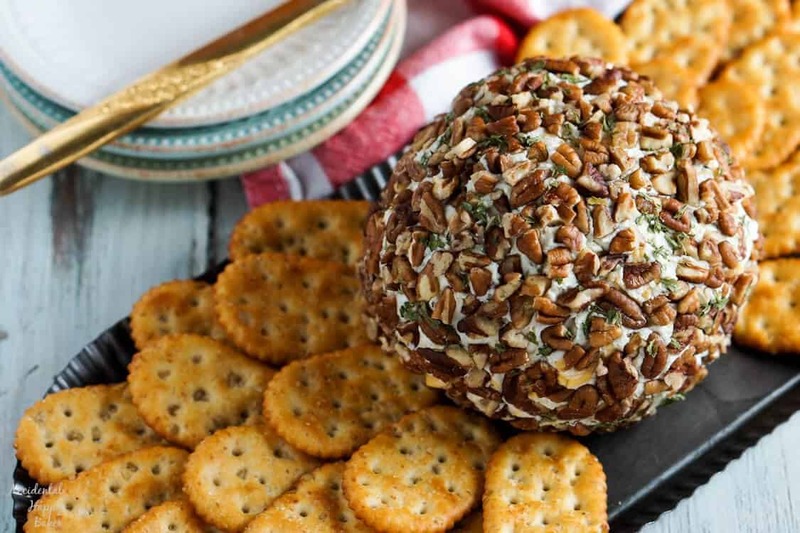 Think of how impressed guests will be with a homemade cheese ball! 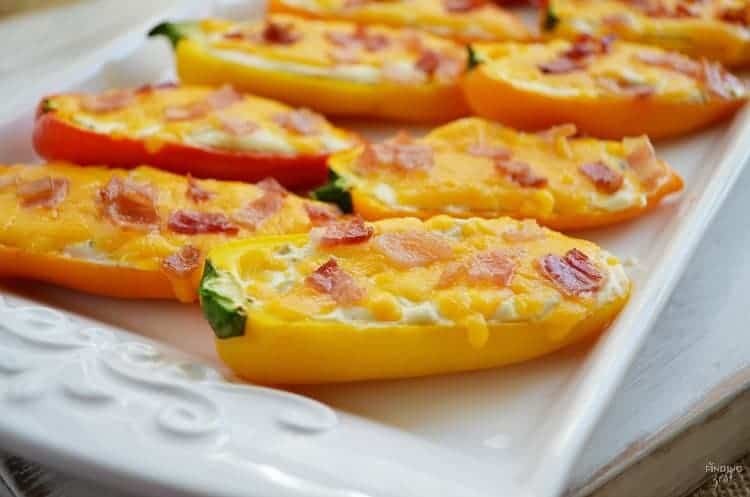 There are definitely some guests who will be searching for more low carb appetizer options. Emile gives us a fantastic option that looks too yummy to pass up! 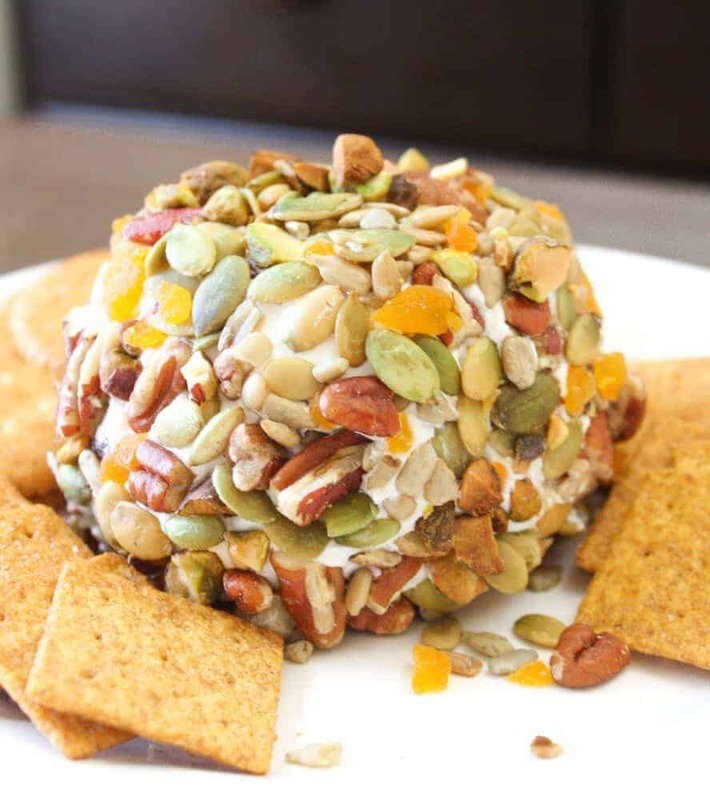 You need at least two cheese balls on an appetizer plate and Stephanie’s recipe rounds it out! The taste of fall in one bite! 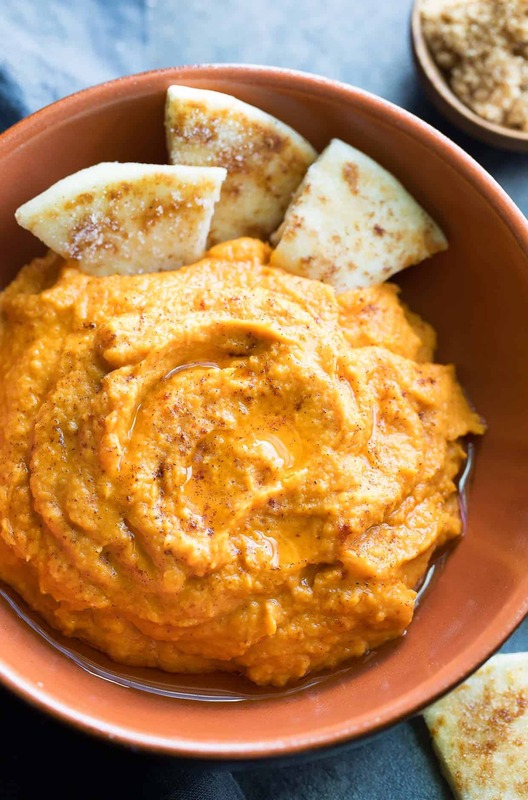 Kiki really kicks up flavors and this recipe is no different! Get ready to impress! 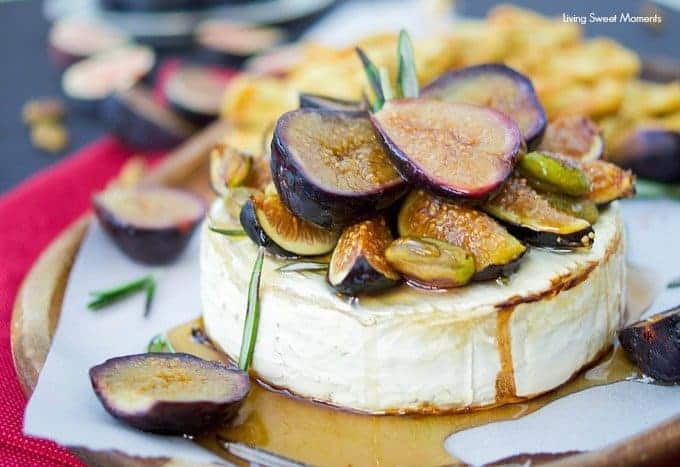 Rebecca brings us this absolutely beautiful baked brie that will bring your fall entertaining up a notch. It’s beautiful and you’ll want to dig in, I promise! Who doesn’t love the blog Peas and Crayons? 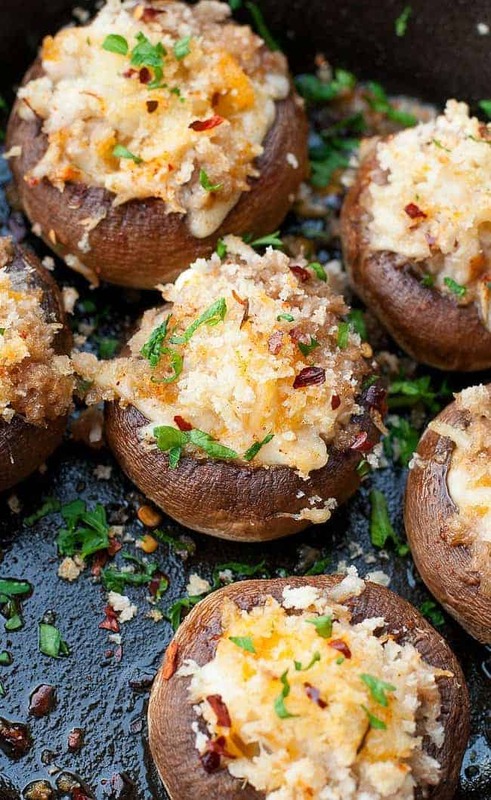 Jenn shared her Crab Stuffed Mushroom recipe with me, and now my husband can’t stop eating them! Jenn does it again with this appetizer winner! I can’t wait to dip into it! Every table needs a little something people can just grab, and that’s what Jazzmine brings us. In fact, I’m going to make a batch of this tonight! 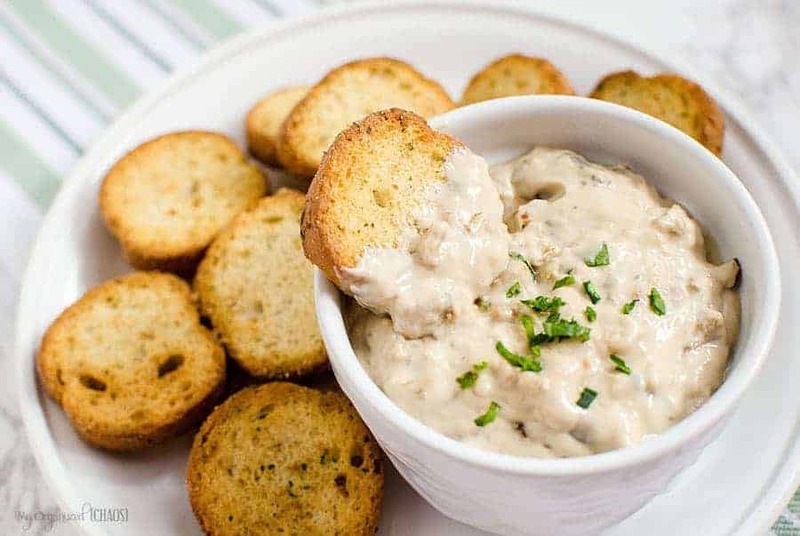 This dip looks so incredibly creamy. Not surprising as Janette is known for using fresh, non-processed ingredients. And butternut squash?? 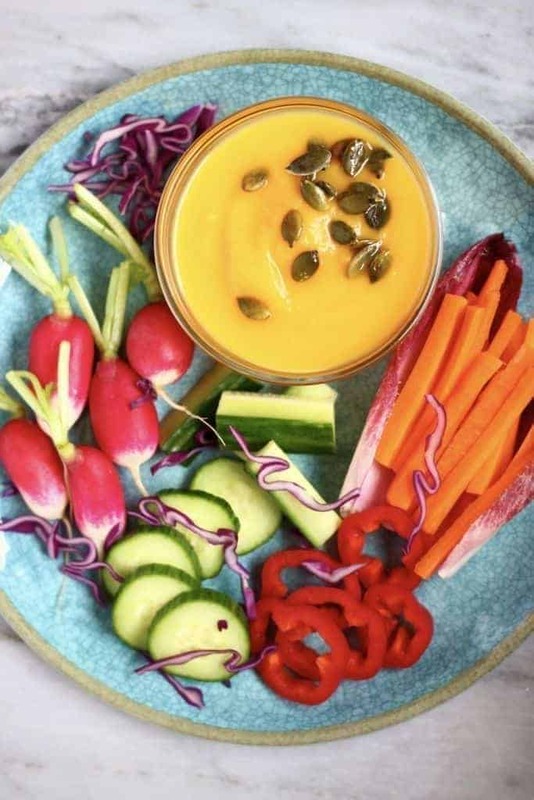 What a perfect root vegetable – and so very fall. 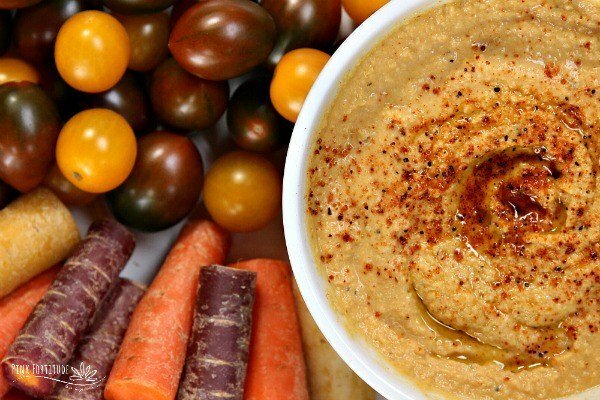 This appetizer is beautiful and healthy! I’m thinking that there isn’t anyone who would worry about how healthy this appetizer is! It’s going to be too delicious to feel like you’re missing anything! 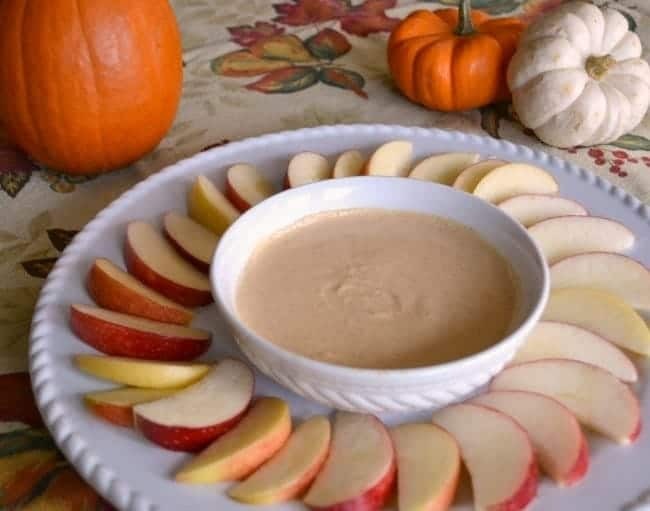 Corinne wraps up our Fall Appetizer Roundup and has created a low fat pumpkin pie dip that screams fall – and screams easy! That’s a winning recipe in my book! (I’m actually making this tonight)! 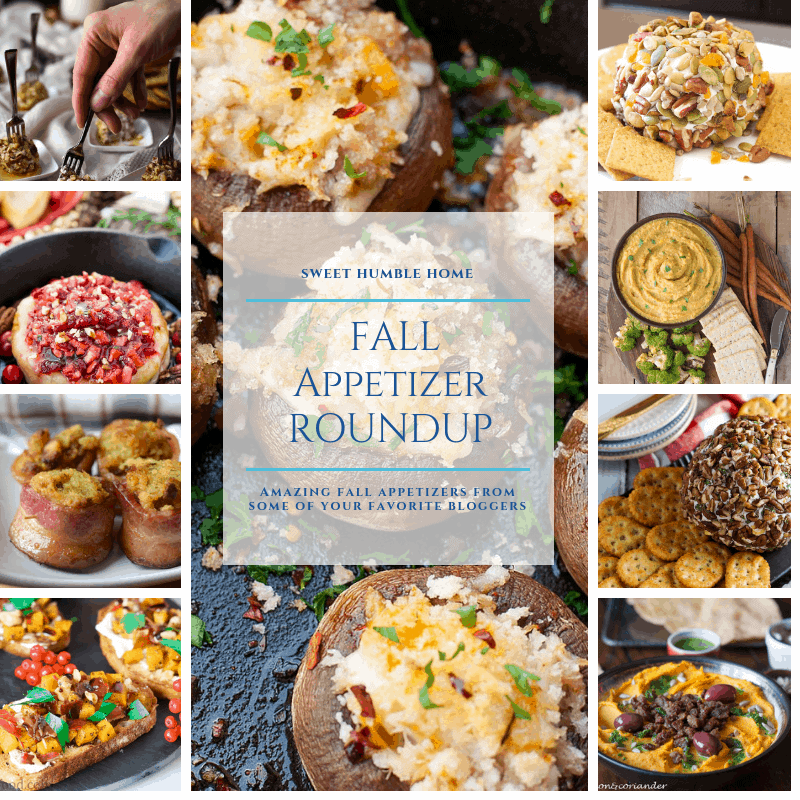 Hopefully this Fall Appetizer Round Up will give you a good start on planning fall parties! Happy Fall, everyone! I know I’m excited!